It’s hard to match the technology needs of a new business to a start-up budget… but it doesn’t have to be! As a Start-Up Business, the restrictions of Cash Flow can feel like a straightjacket. Getting the right tech is one thing, but financing it can be harder still. HardSoft is a leading supplier of subscription and leasing deals for the latest computers. Our 30+ years of trading allows us to offer great deals for new businesses and we have a proven record of securing approvals for new start-up applications at 98%. Our most relevant package is our ‘Flexi-Lease’ support package – which includes 3 years warranty, on-call Tech Support, change of equipment after 2 years, or cancel or even own for a £1 at the end of the deal. All these deals are really affordable – and by that, we mean for less than the daily price of a cup of coffee! You can pick from the latest Apple Mac range, or from the leading PC suppliers and get them built with specs you need, within 24 hours of getting the approval. 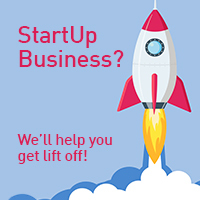 HardSoft, is unusual in today’s economic environment because we are actively encouraging and supporting new and start-up businesses by offering the same terms and conditions whether you started trading yesterday or ten years ago, and whether you are a sole trader or a limited company. Our team are here to help! That means pre-approval is often available within 30 minutes of completing this simple online form. HardSoft is Apple Approved, Google trained and has access to all of the UK Finance market. This means that we can offer you the best deals all around. For the best bespoke tech packages geared to new businesses, give us a call on 020 7111 1643 and talk to our team, or email sales@hardsoft.co.uk.